The Holy Prophet Muhammad (SAW) is undoubtedly the most miraculous, the most sublime, the most beautiful character to ever have graced or will ever grace this mortal world. In fact, any number of adjectives glorifying him will appear to be less as we go along defining and describing this ‘perfect role model for mankind’ (Holy Quran 33:21). The responsibility he shouldered would make a common person give up in a matter of days. The supreme and refined character that the Holy Prophet(SAW) displayed for 40 years before having made his Prophethood public laid the basis for a personality that was admired not just by his closest in the household like Hazrat Khadija(RA) but also by his enemies who couldn’t help referring to him as ‘the truthful (Al-Sadiq) and the honest (Al-Amin). Hazrat Khadija(RA) was the most pious of women in the Hijaz even before she embraced the belief system put forth by her husband, the Holy Prophet of Islam Muhammad Mustafa (SAW). She had everything going for her in life, a life full of worldly riches and luxuries. Her trade caravan used to dwarf the caravan of all other Quraysh businessmen put together. Yet, it took her no time to decide that she was going to spend her life with the chosen one by Allah. She would closely monitor the dealings of the Prophet (SAW) in business and other affairs. Thus, she laid the basis as to what should be the criteria of marriage. Not riches, not fame and name but the purity of heart, honesty and truthfulness. This however runs contrary to contemporary norms in our society. Today boys haven’t so much of a stress on them to prove themselves as epitomes of a refined character but it’s the other way round. ‘And verily you are upon a great moral character.’ (Holy Quran 68:4). ‘Verily Allah has sent me to complete the noble qualities of the morals (Akhlaaq). These and numerous other verses Holy Quran and sayings of the Messenger of Allah(SAW) himself stand testimony to his being the personification of a very refined and sublime human character to be emulated in letter and spirit by his(SAW) followers for all times to come. Every aspect of the Prophet’s life is inspirational, not just for Muslims but for the entire humanity. It’s not possible to enlist many or deliberate upon them in one go. An objective analysis of his (SAW) pious life would lead us to the lofty alleyways of attaining nearness to Allah and respect and dignity from around people. 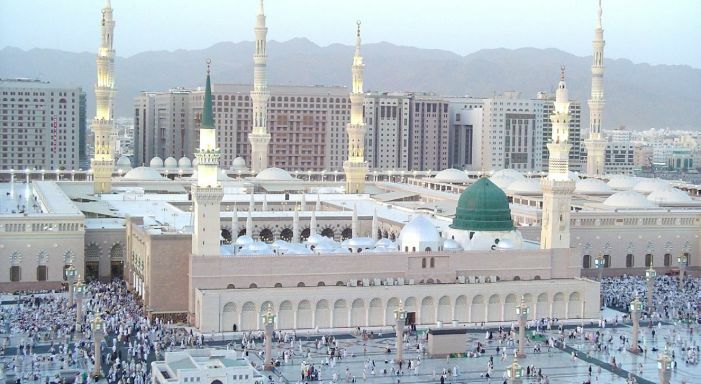 A very vivid example striking my mind is the famous event of migration to Madinah from Makkah, the twin holy cities and famous sites of pilgrimage of Hijaz which is now known as Saudi Arabia . When the migrants led by Holy Prophet Muhammad (SAW) reached Madinah, the sheer imagination of the incredible bonds of brotherhood he forged between the dwellers of Madinah and the immigrants from Makkah is just amazing , to say the least. It was an unprecedented event in the history of mankind. The Prophet(SAW) established a system that would bring together Muslims of two different cities and different tribes, races and ethnic backgrounds. It was no mean feat for a person who was only a few months old in this city and who should have expected a confrontational attitude from the citizens of Madinah, much like what had made him migrate from Makkah, underpinning the preaching of a new religion and thus challenging the status quo. In the bad old days of Arab tribal enmity and prejudices, this brotherhood was truly revolutionary. It gave the Muhajirs (immigrants) a chance to rebuild their lives in their new home, while creating a deep bond of love and affection between Muslims of two very different cities. This was very exemplary from the Holy Prophet of Islam (SAW) and this event holds very many lessons of unity, fraternity and brotherhood in Islam and Muslim society, in particular, and humanity , in general. I wouldn’t shy away from stating that such an act looks next to impossible in today’s so called progressive, liberal and enlightened world. Muslims of this age need to reflect upon this event which not only helped those who were almost without shelter and penniless to find new homes and livelihoods but this bond of brotherhood helped lay a strong basis of a Muslim society which had at its heart the spirit of selfless altruism and sacrifice. Our religious and social fabric looks to be in shambles and they only way to salvation is to pick up the lessons from the unparalleled model put forth by the Prophet (SAW) and revisit the lost yet glorious era of Islam and model the future of our societies and individuals lives on the blueprint prepared and practices by none other than the Holy Messenger of Allah (SAW) himself.